The Island Lake State Recreation Area in Brighton, MI is going to ultimately prove to be one of the best locations for you to spend some time in the great outdoors. With so much to explore and do, it provides you with a welcome break from the stress of everyday life, and you should really not consider checking it out for just a weekend. Covering some 4000 acres, it is also seen as having one of the safest shooting ranges in the entire country. 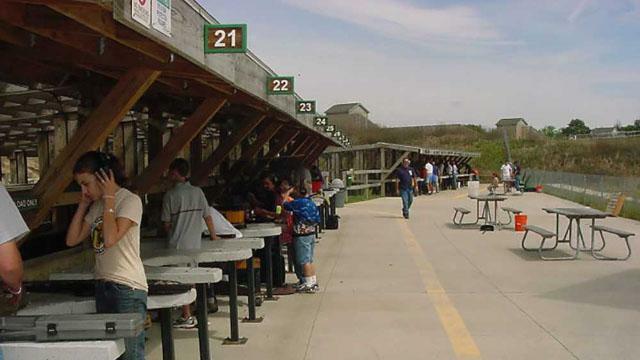 Not only is it all very well organized, but there is more than enough help on hand should you find yourself on a shooting range for the very first time and this alone provides you with a huge amount of confidence. But then, it is not just shooting that is on offer in this area. Instead, canoeing, swimming, even volleyball is available to name just a few things. You then have a series of pretty amazing picnic areas with spectacular views, so even if you just want to chill and admire the scenery, then that is entirely possible during your time there. Also, there are some cabins available in the area, and that is certainly something that is well worth considering if you are looking for a different place to stay for a short period of time. The area is also the only official balloon park in the area, so if you are up early in the morning then who knows what you may then see. Of course, with it covering such a large area it does mean that there are a number of trails that you can also explore, and they do cover different lengths. You will also discover that they are suitable for people of various levels of experience and fitness, so there should really be something there for you. This recreational area is going to provide you with the opportunity to sample some of the outdoor life, but do so in a safe and secure environment that will prove to be suitable for the entire family. You do need a recreational passport to gain entry, but once you do it will prove to be one of the best decisions that you will have made.